Dr. Yun completed her Specialized Honours Bachelor’s degree in Kinesiology at York University in 2004 and went on to pursue post-graduate education in Naturopathic Medicine at the Canadian College of Naturopathic Medicine in Toronto. After practicing naturopathic medicine in mid-town Toronto for 7 years, Dr. Yun is looking forward to growing her practice and establishing her roots in Whitby. Within her family-oriented practice, her clinical focus is in health & fitness in pregnancy (pre-conception, antenatal care, and post-partum recovery), sport medicine & pain management, and obesity & weight loss. Dr. Yun encounters a wide array of conditions and disorders on a daily basis and, in addressing the underlying issues from a naturopathic perspective while encouraging lifestyle changes, she has helped her patients to move forward toward a healthy and sustainable quality of life. 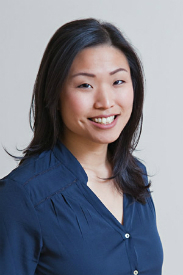 In addition to her clinical practice, Dr. Yun has been a contributing writer and speaker to a number of different publications and organizations including Healthy Directions Magazine and Jamie Oliver’s Food Revolution Blog, and is a member of the Canadian Obesity Network (CON), a network of health professionals united in a goal to reduce obesity in the Canadian population. To find out more about Dr. Yun, please visit her website at www.jenniferyun.ca.